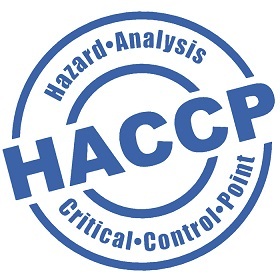 We manufacture our products with strict quality controls, our stringent & current food safety programme is HACCP approved & product is regularly laboratory tested as per our food safety requirements. We have a dedicated, hygienic cutting room which is used to process & portion fresh chicken for the Foodservice market. A GEA multiformer which enables versatility & the flexibility to produce a wide range of formed product. GEA OptiFlour & OptiAir technology is our flour coating line preference, this equipment enables thin pre- dust to seeded flour types & light to medium crumbs. It has a patented flour divider for accurate pickup control & is designed for performance within high capacity production lines. Our strengths includes our ability to crumb/batter a wide range of either formed or natural product, with our production efficiencies & low over heads we are extremely competitive on price point while maintaing a high standard of product quality. For crumbing we use the GEA CrumbMaster which handles both fine & course crumb efficiently with a unique circulation system that virtually eliminates crumb damage. For batter & tempura products we use the GEA TempuMixer & the GEA OptiDipper, it has a gentle mixing action which contributes to stable viscosity. We use an Intralox spiral freezer to freeze product down or bring down to required chilled temp. Intralox’s line of spiral belt technology delivers particular advantages in freezer applications, their non-metal belts mean less chance of contamination and food waste as well as being energy saving, savings we can pass on to you to give you the best possible production costs. 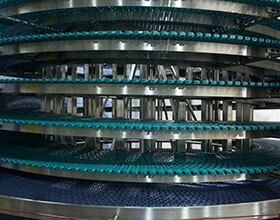 For packing, we utilise an automated tray packing & gas flushing machine. This technology means a longer life for fresh retail products. Our processes & retain a “lean & mean” attitude including a streamlined NPD process which enables us to bring a product from concept to market very quickly. Our raw material is sourced from some of the leading producers of NZ poultry & meat including Tegal, Inghams, Turks & Wilson Hellaby. For more information please do not hesitate to contact us.